As images made by hand, such as sketches or collages, give way to those produced on computers, there has been a shift in the way architectural projects are visualized. New Views: The Rendered Image in Architecture, an exhibition curated by CLOG at the Art Institute of Chicago, focuses on the digitally rendered images that have become ubiquitous in architecture, and their place in museums architecture collections. 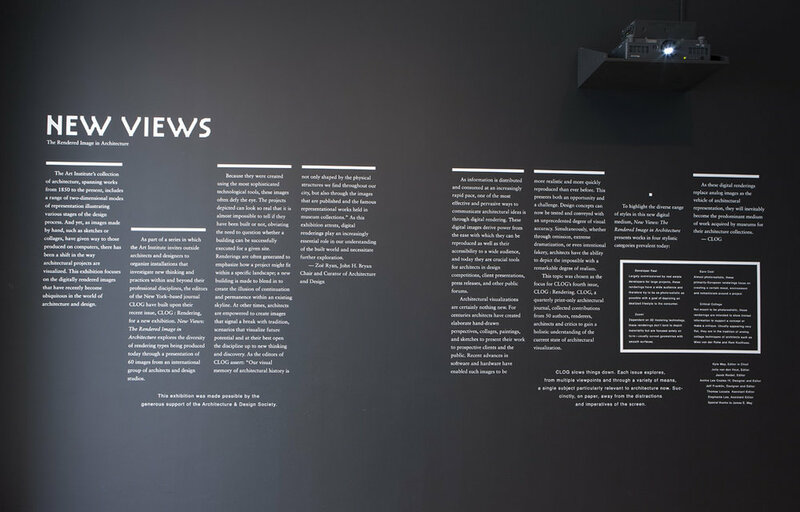 As part of a series in which the Art Institute invites outside architects and designers to organize installations that investigate new thinking and practices within and beyond their professional disciplines, CLOG built upon its recent issue, CLOG : Rendering, for the new exhibition. New Views: The Rendered Image in Architecture explores the diversity of rendering types being produced today through a presentation of 60 images from an international group of architects and design studios. Participating firms include: Abrahams May Architects, BIG, DBOX, Family and PlayLab, Frontop, Greg Lynn FORM, Labtop, Luxigon, Mansilla + Tuñón Architects, Mir, OFFICE Kersten Geers David Van Severen, P-A-T-T-E-R-N-S / Marcelo Spina and Georgina Huljich, Pure, visualhouse, and Zaha Hadid Architects. 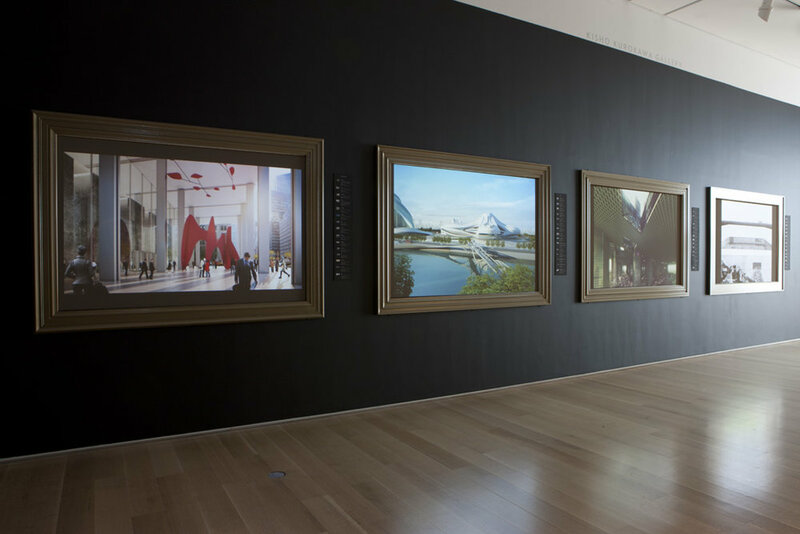 Highlighting the artistry and technical proficiency required to produce architectural visualizations, the Art Institute and CLOG have prompted Eric de Broche des Combes of French rendering firm Luxigon to create a new rendered view of the Kurokawa Gallery. To explore the implications of the digital-imaging trend on museum collections, CLOG queried curators from 19 leading American and international art institutions about the contents of their current holdings. As digital renderings are increasingly used as presentation materials for architects in practice, are museums acquiring them for their collection? New Views was on view in the Art Institute’s Kurokowa Gallery in the Modern Wing from June 15, 2013 to February 16, 2014.